During the period of 18 to 24 months your toddler’s development increases in language and relational skills. 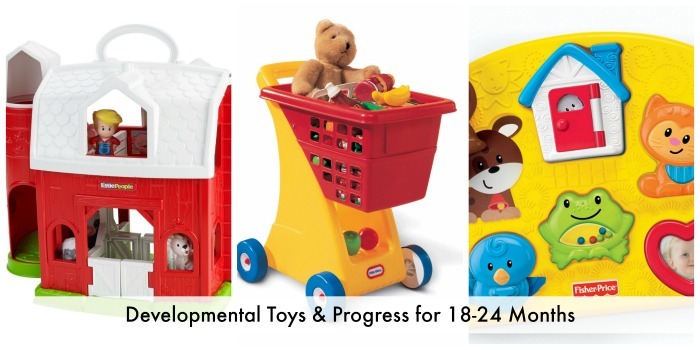 With the change in his or her developmental progress, it’s time to up your game with some developmental toys that match her growing needs. 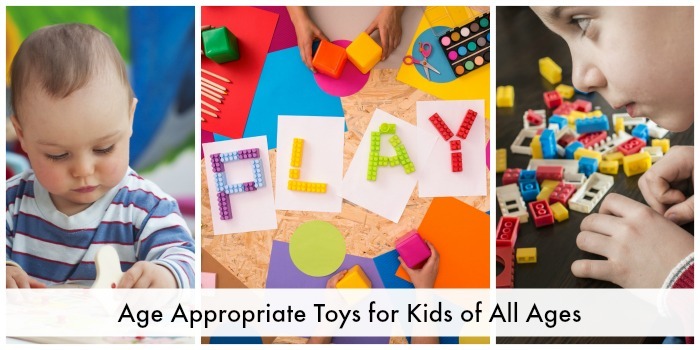 This is also the time to donate some of the older toys that he or she shows no interest in, and move on to toys that engage your toddler’s mind and movement. This post contains affiliate links. Your toddler is at the stage where he or she wants to do everything by his or herself. Encourage this. Let your toddler pick out his or her clothes and get dressed. Yes, the outfit may not match, but you are giving your toddler the independence that he or she is taking. The learning of your child increases more with his or her attendance. Learning can be done with role-play toys to bring the large world to a smaller scale for your toddler to understand the dynamics of how things work as well as the continued development in creativity. Mobility becomes more stable for your toddler as he or she walks with ease and enjoys running around. Vocabulary increases at this stage of development up to 200 more words. Your toddler is also emotionally connected to the experiences of his or her surroundings. This means your toddler now has the ability to truly feel happiness, sadness, frustration, and even jealousy. To develop sensory, fine motor, and curiosity and discovery skills for your toddler, you may want to consider investing in developmental toys that encourage this through better eye and hand coordination. For example, a miniature basketball with a basketball stand and net allows your toddler to practice his or her fine motor skills that include eye and had coordination. 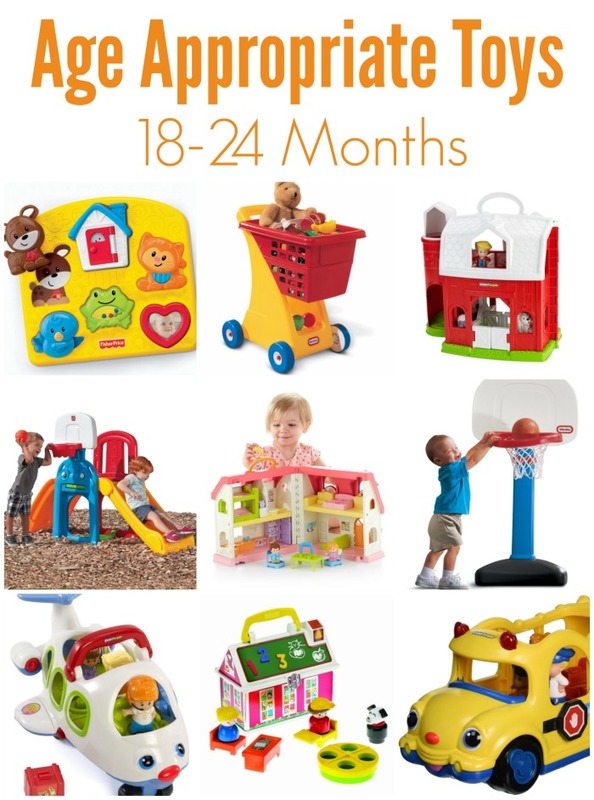 Other toys that develop these skills include activity puzzles, miniature homes with little dolls for role playing. Another popular toy is the miniature farm sets with a workable farm unit, sounds, farmer, and animals helping with problem-solving skills. Moveable toys, such as trucks, cars, and airplanes engages the sensory, fine motor, curiosity and discovery, and imagination and creativity skills in your toddler. You may also consider reading picture books to your toddler about the different cars and airplanes and what each is used for. This is a practice that is critical at this stage as your toddler is developing language skills rapidly. To continue to engage your toddler in learning activities, having a wagon, stroller, or grocery cart that is made of sturdy plastic for safety will teach your toddler about mobility. Teach your toddler to understand the process of transportation and understanding of how different objects can be easily moved from one location to another.